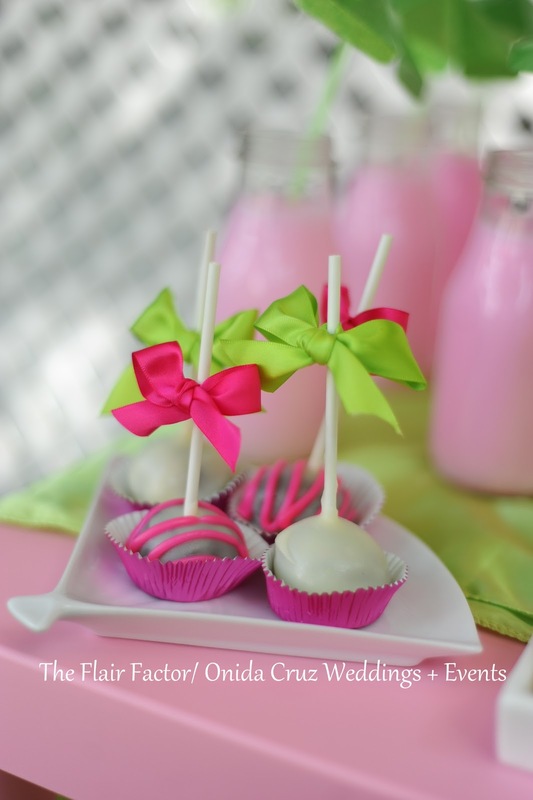 I'm thinking about making these simple DIY cheesecake pops! 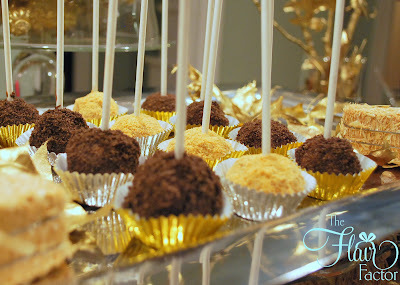 I made these pops from store bought cheesecake for a dinner I hosted about two years ago. There were pumpking cheesecake (perfect for this time of year) and plain cheesecake pops covered in graham crackers and Oreo cookie... YUM! the passing of my beloved father, I have been surrounded with loved ones for support. The addition of our little lady attracted the family youngsters to constantly want to spend time at my house. So with summer coming to an unofficial end, and the kids back to school, I will have some time to update my blog. (Opulent Creations Events) to create simple party ideas. 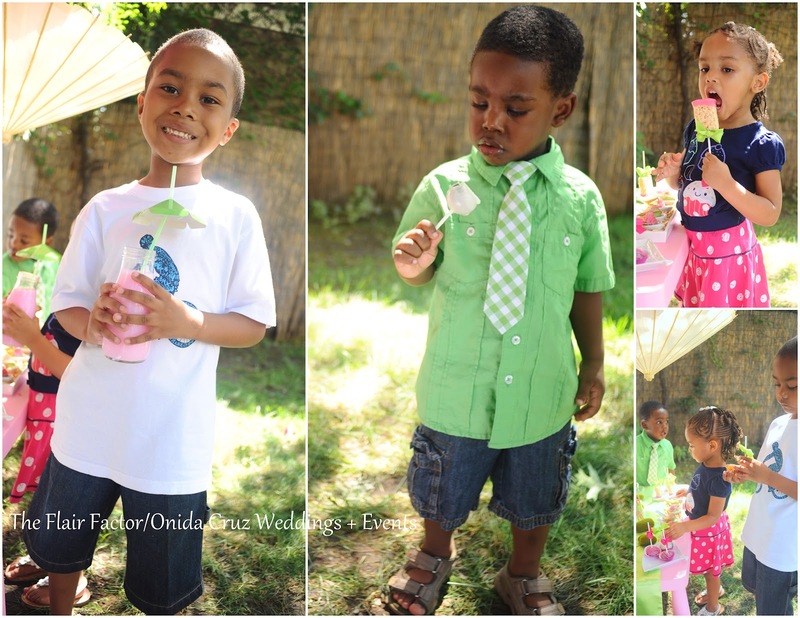 I knew it would be a blast to partner with Onida especially being new moms of precious little girls, with tons of ideas to share. We started with a pink and green (one of my all time favor color combos) Asian inspired design. The "Oh" (pun intended) so talented Olesha of Oh! Boudoir Photography took the photos for us. 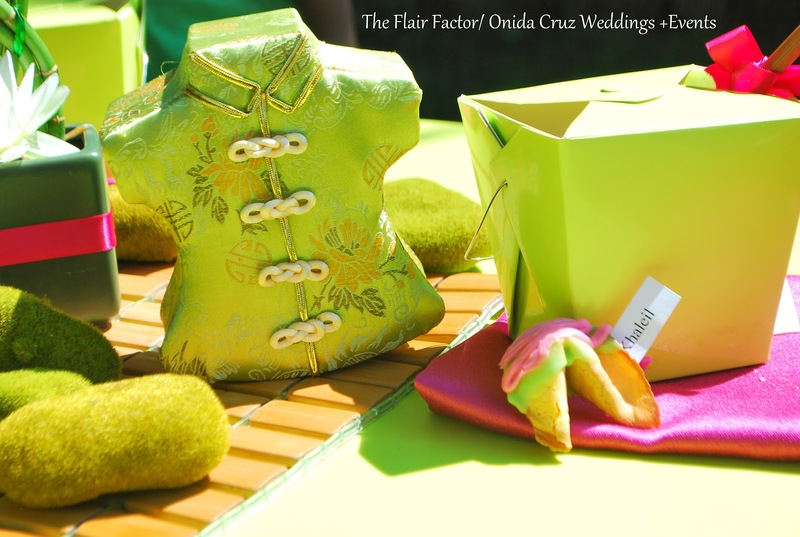 fortune cookies acted as placecards. I simple cut out strips of paper and stuck it partially into the fortune cookie to be reveal the names. 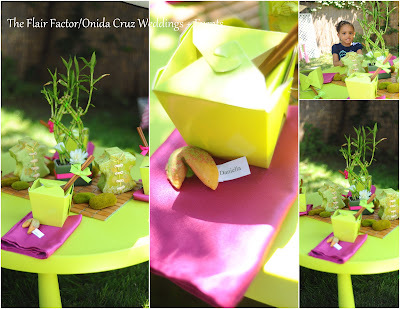 A bamboo plant set on top of a bamboo block placemat, moss balls, and cute kimono boxes anchored the table perfectly as the centerpiece. No care in the world about the design and styling... all they want are those balloons! And of course they loved the goodies on the sweets display! I loved the ever description Onida gave me over on her blog.. "sweet treat architect"! I'll definitely have to use that one! (Thanks Nida!) . 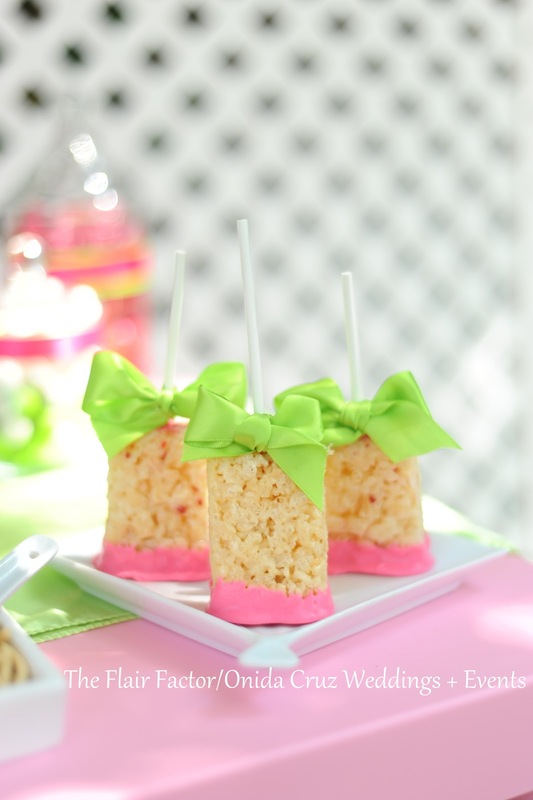 The kids were on a sugar high after packing their take out boxes with cake pops, pink polky biscuit sticks, chocolate covered fortune cookies, and Rice Krispie pops and washing all the sweets down with strawberry milk! Chocolate covered fortune cookies atop a bed of chow mein noodles for that extra Flair! 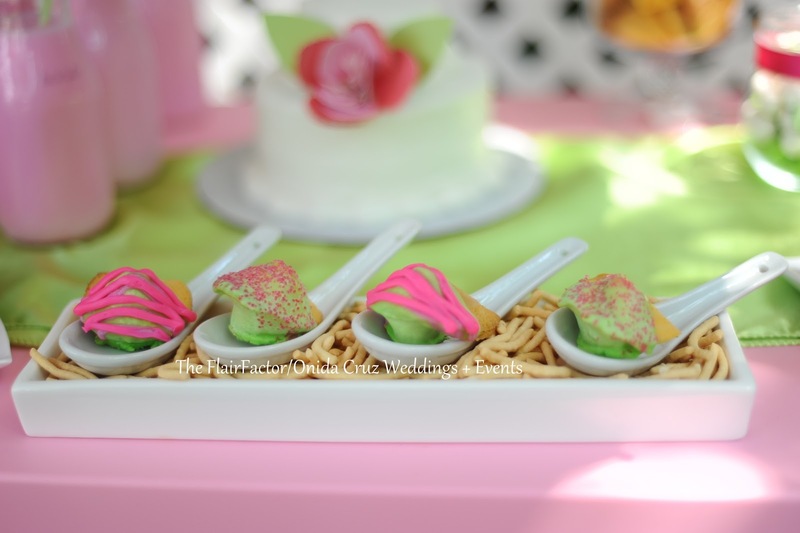 I couldn't resist these fan plates, they were a great find and looked great were perfect for our theme. How cute does the Cake pops look on the plate?? I had a great time creating these tablescapes with Onida this summer! 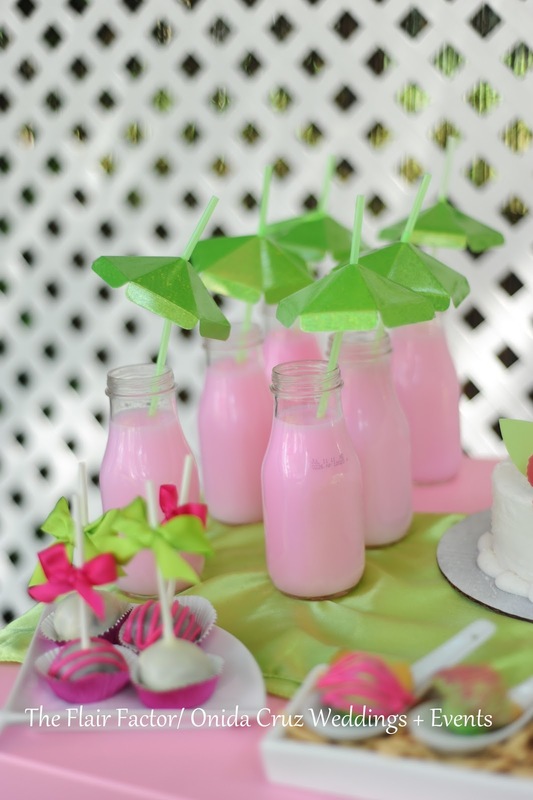 We put our heads, talents, tons of props together to bring you festive party ideas! Stay tuned for more! !